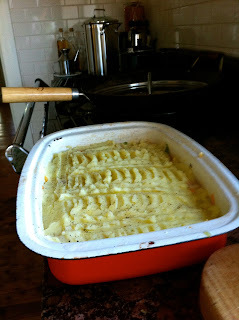 The Rockling has looked so lovely at the fishmonger's lately that I thought I would use it in a fish pie instead of salmon and haddock as recommended in Jamie Oliver's recipe from Jamie's Ministry of Food. It was simple to put together and the flavours not too fishy. It doesn't make the house smell either. In a deep baking tray or dish (I dug out this old baking dish that I have had for about 37 years it is well used and not very pretty but it did the job! Finely chop your chilli and parsley, including stalks. Put zest, chilli, parsley, grated celery, carrot and cheese into the baking dish and mix together. 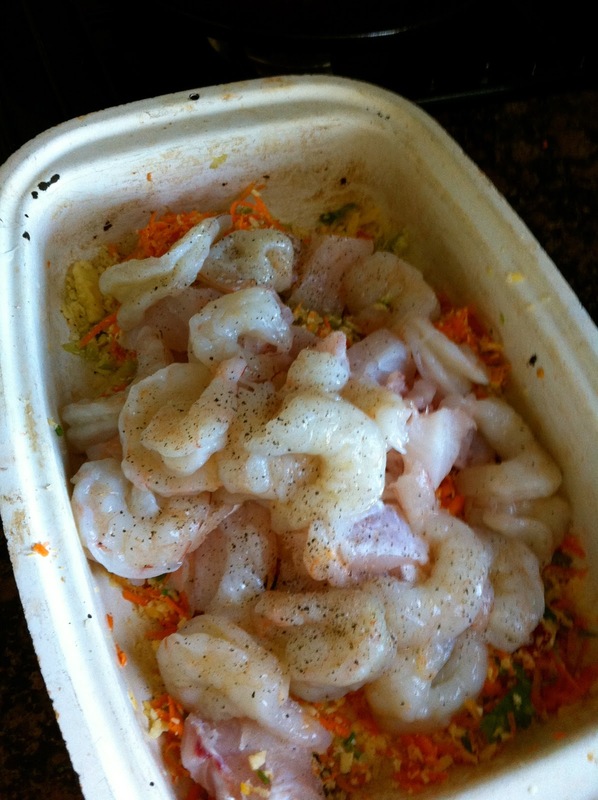 Put the fish and prawns into the baking dish and add the juice of the lemon, drizzle with olive oil and mix together well. Add a couple of good lugs of olive oil and add a pinch of salt and pepper. Mash until nice and smooth and spread evenly on top of the fish and grated veg. Place in the preheated oven for around 40 minutes, or until cooked through and lovely and crispy and golden on top. Serve with veg or salad. I will make this again! It looks and sounds delicious - might try it with haddock instead. Thanks. Haddock was the recommended fish and I thought you would like that! Not sure if you like prawns - the chilli does not make it hot just gave it a nice little kick. But you could try mustard as suggested by Dom at Belleau Kitchen. Thanks. The chilli gave it a nice little kick but will try it with mustard too, that will make it super tasty! It looks and sounds delicious, nothing beats a good fish pie. I always order fish pie when I am out if its on the menu as I don't often cook fish at home (hate the smell of fish in the house) but this was not at all "fishy" and so easy to make (and eat). I agree a good fish pie is hard to beat. It looks plain on top - but the combo of fish and prawns definitely could be dished up for guests at any table. It was even great cold as leftovers. 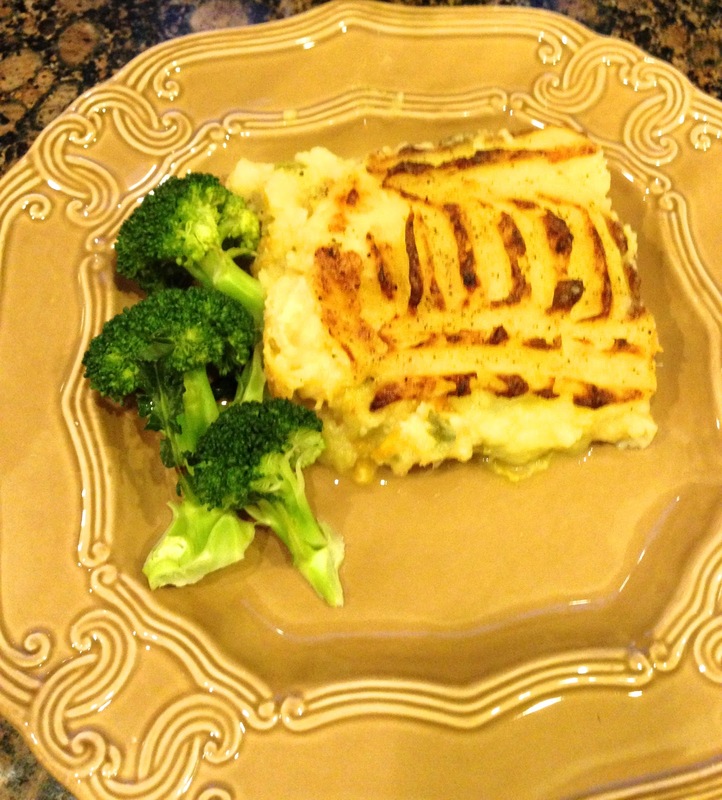 Oh what a good idea to eat fish on New Year's Day - being an expert fish pie give this one a go and let me know what you think. Fish pie? Heaven! Prawns add a lovely touch of luxury and the mash topping is wonderful comfort food. 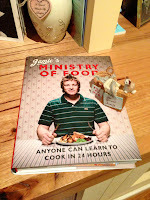 Hester thanks for popping by - you are right this pie had the best of both worlds top fish but basic home cooking. I absolutely love this! I need to make it soon, although I can't eat shellfish, so I'll probably go back to the haddock and salmon. 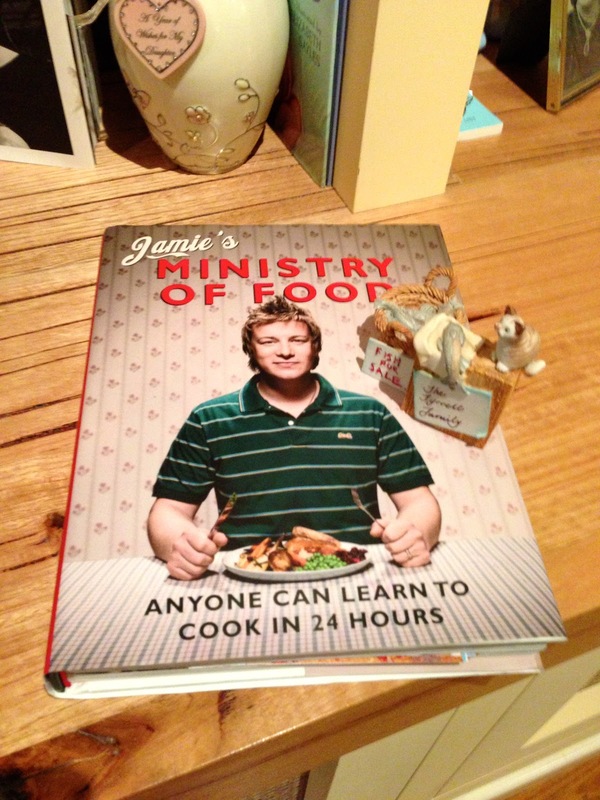 It looks like pure comfort food bliss to me...and who doesn't love Jamie?? I think it is the subtle vegetable flavours, the creamy cheese and zingy lemon and chilli that form the basis for this pie I dare say you could add any fish you liked, and as Jamie says its all about the fresh flavours!